- Mixes with a Spoon! 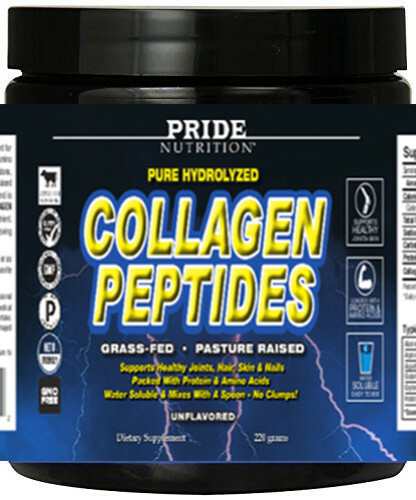 Collagen Peptide is a unique structural protein that is the main component for building and repairing healthy connective tissue. Collagen Peptides consist of amino acids wound together mostly found in the connective tissue of ligaments, tendons, skin, muscles and bones. Pride’s Collagen is derived from a grass-fed, pasture-raised bovine source that is FREE OF ALL: Hormones, Gluten, Dairy, Nuts, Grains and is NON-GMO with ZERO Fillers. 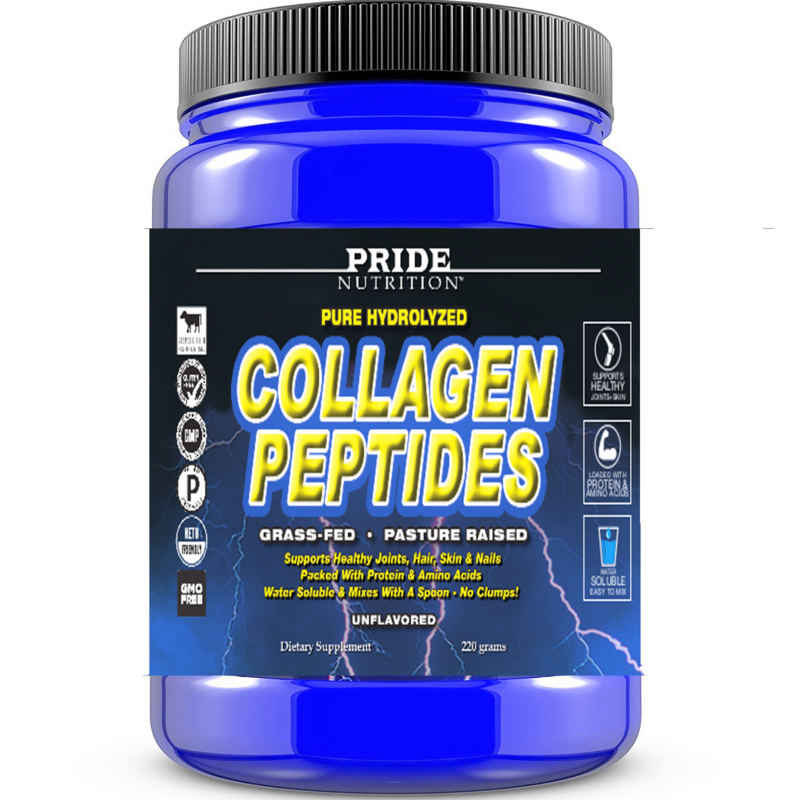 Pride uses this high quality source or Collagen Peptides to ensure a natural and sustainable amount of this amazing nutrient. Supplementing a premium source of Collagen can be very beneficial for improving the quality of your hair, skin, nails, strength and overall joint health. *Essential Amino Acids ^Natural variations may occur. SUGGESTED USE: Mix one scoop into your favorite beverage 1 to 2 times daily or as directed by your qualified health professional. Helpful hint: Can be taken with coffee,Tea, Protein Smoothies, Juice, Yogurt, Oatmeal or used while baking. CAUTION: KEEP OUT OF REACH OF CHILDREN AND PETS. Consult with a qualified healthcare professional prior to using this product, especially if you are pregnant, nursing, have diagnosed medical conditions or are taking prescription medications. Do not exceed recommended daily intake. Safety sealed for your protection. Do not use if inner-freshness seal under bottle cap is damaged or missing. STORAGE INFORMATION: Store in dry cool place with lid tightly sealed. Avoid exposure to excessive light, heat and moisture. Packaged by weight not volume. Settling of contents may occur and cannot be avoided. Click the button below to add the Pride Nutrition Collagen Peptide 220g 20 Servings *New Item* to your wish list.